In partnership with the family of Moira Erin O’Donnell, the Ignatian Solidarity Network announced the first recipients of the Moira Erin O’Donnell Emerging Leaders for Justice Award, including AΣN member Danny Swan (Wheeling Jesuit University ‘07). The O’Donnell Award honors young adults who have received an undergraduate degree from a U.S. Jesuit university and demonstrated significant social justice leadership in their communities. Danny Swan grew up in Morgantown, WV and studied English literature at Wheeling Jesuit University. While at WJU, Danny lived at the Mother Jones House, a service based intentional community in the underserved neighborhood of East Wheeling. 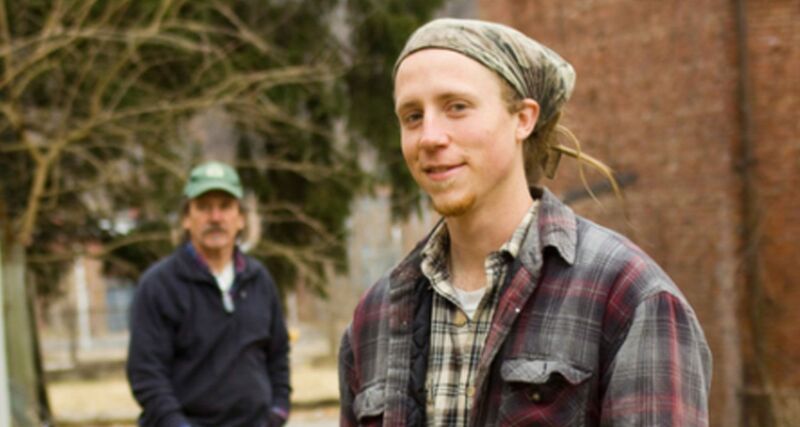 Identifying East Wheeling as a “food desert”, Danny started the East Wheeling Community Gardens project and also participated in the Green Wheeling Initiative which worked to establish other community gardens, school gardens, and community agricultural education. In 2013 he founded Black Swan Organics–a community supported agriculture (CSA) subscription service and weekly farm stand. In 2014, Black Swan and East Wheeling Community Gardens merged into the non-profit Grow Ohio Valley, establishing a board of directors and hiring a small staff. In two years, GOV has additionally established community gardens and urban greenhouses, educational projects, and a mobile food market. Its mission centers on serving East Wheeling and other underserved communities at risk of food insecurity, including seniors. But it is also open to the desires of others to “come and see,” as they host a number of immersion groups in Wheeling to learn about food justice and sustainability. This year, GOV has expanded its partnerships to include House of Hagar Catholic Worker, Wheeling Jesuit University, Catholic Charities, and local health clinics, and they have provided farming internships for young adults, as well as attracting the attention of local and national news media and social justice leaders such as NETWORK/Nuns on the Bus.